Whole Lotta Love, One Big Pickle! After working in the franchise and restaurant industry for 16 years Doug Stritzel, founder and owner of Pickleman’s, began his quest to realize his longtime dream of building a distinct new dining concept. 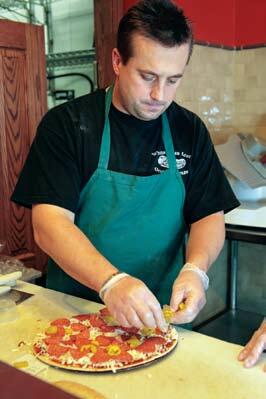 In October 2005 Doug opened the first Pickleman’s in Columbia, MO. In January 2008 the second Pickleman’s was opened. Today, Pickleman’s has 24 locations and counting, four in Columbia, MO, one in Springfield, MO, six in St Louis, MO, one in Lincoln, NE, one in Lawrence, KS, six in Kansas City, four in Omaha, NE, one in Norman, OK, and one in Fayetteville, AR. Pickleman’s focuses above all on using the highest quality product and creating profound and unique flavor profiles people love. Offering a wide array of all natural products with the freshest ingredients gives our Toasted Sandwiches, Pizzas, Soups, Salads and Desserts a quality that sets us apart. Our Delivery and Catering services allow us to serve large groups, cater events, and provide you with our superior service at your door. Doug has plans to expand the Pickleman’s franchise and share his passion for high quality food with the world. His goal is to establish and continue to develop his own brand and someday be successful enough to spend lots of time with two wonderful children, Jack and Audrey. 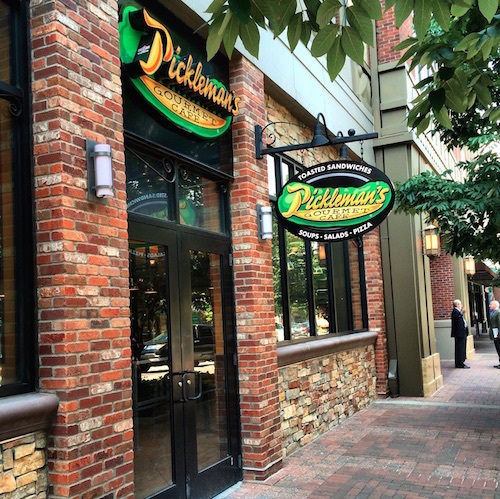 Pickleman’s was 20 years in the making when it first opened on October 1st 2005. Doug Stritzel had worked with some of the biggest names in the sandwich and restaurant industry; he had a vision for a brand that above all focused on using the highest quality product to create profound and unique flavor profiles people love. Pickleman's robust Menu and speedy Delivery Service made it a huge hit with College Students but since it's beginning Pickleman's has adapted to a much broader crowd offering a variety of Sandwiches, Salads, Soups and Pizzas.